Richard Laermer published listicles before they were cool. Not only was his Bad Pitch Blog among the first PR focused blogs in existence, it has pulled off the feat of actually staying relevant in our latest digital era of podcasts and virtual reality. As far as Richard is concerned, getting your story noticed is all about connecting with other humans without the filters. New trends in the PR world (and why they don’t work). How to making meaningful (and mutually beneficial) connections without the BS. 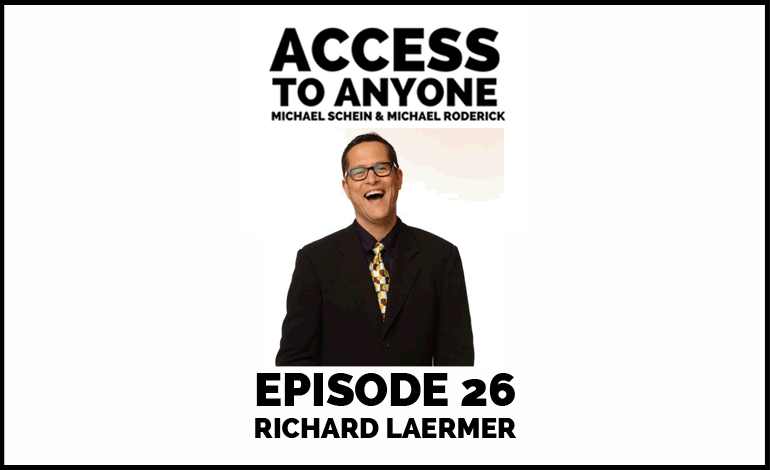 Richard Laermer is the Founder & CEO of RLM Public Relations, a former journalist, and the author of five bestselling books including Full Frontal PR, 2011: Trendspotting, Punk Marketing. He does his best to combat insanity on Huffington Post. Richard is also a frequent guest on CNN, FOX News, CNBC, National Public Radio’s Marketplace, Hints with Heloise, FOX’s Good Day New York and CNNMoney.com. His “Unspun” media commentary regularly runs on radio and his columns on the PR business appear in Advertising Age, Ad Week, Meetings magazine, and PR News.